The gory and visually stunning crime drama, Hannibal, which has previously had a mid-season premiere, will not be joining our regularly scheduled programming until the summer. So sayith NBC network chairman Robert Greenblatt. 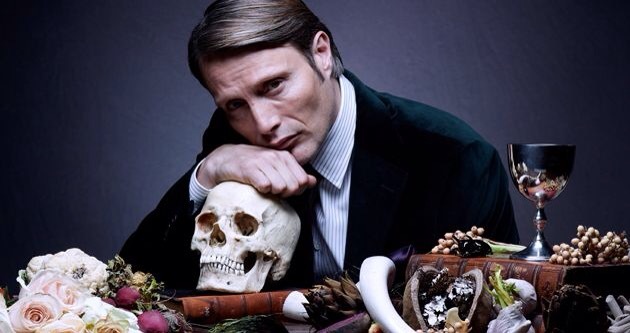 According to the numbers, Hannibal suffers pale ratings in the mid-season slot, hence the summer move. What say you to the move, geeks? Me? I’ll take my Hannibal whenever I can get it. This entry was posted in Television and tagged Brian Fuller, Gillian Anderson, Hannibal, hugh dancy, mads mikkelson, NBC, nbc hannibal. Bookmark the permalink. ← Episode 67: And We’re Back!